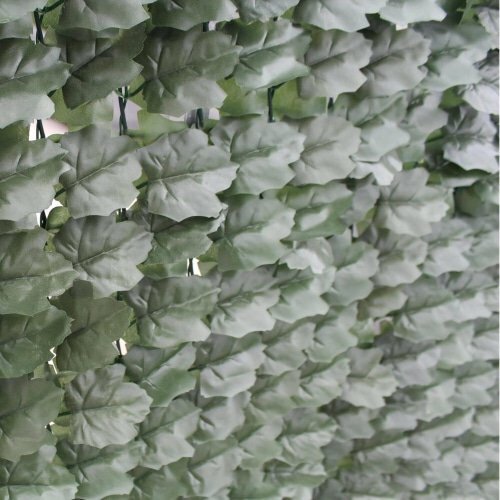 Easy to assemble and make any size you require (comes in 3m x 1m rolls), however, easily joined with others. 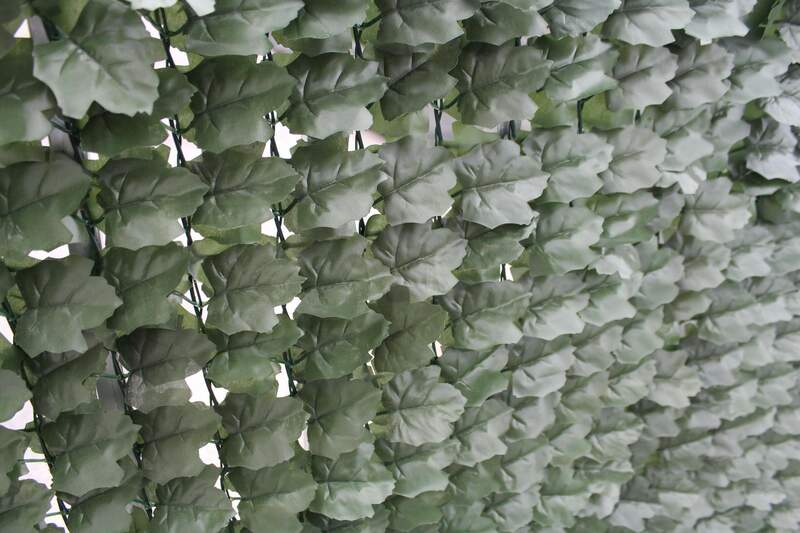 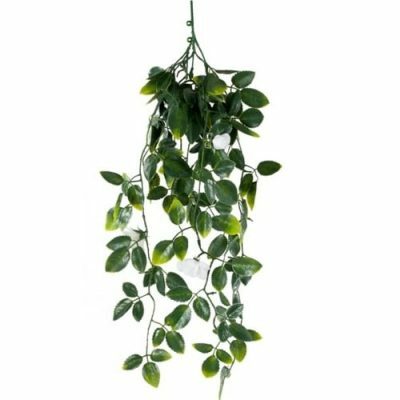 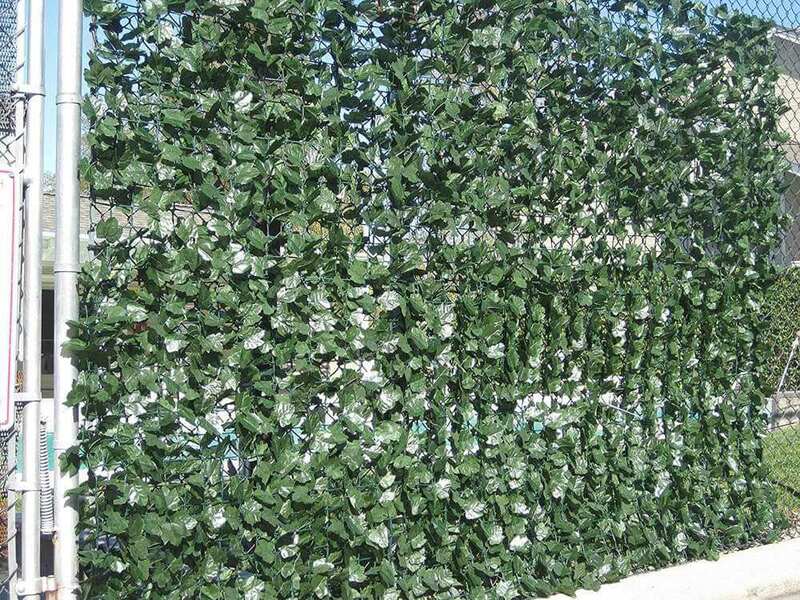 This fake ivy fence is great for patios, balcony, cyclone fences, privacy screening and decorating. It can be easily installed within minutes using cable ties or staples onto a fence or wall and is easily maintained – simply hosing or brushing it, should it get dirty. 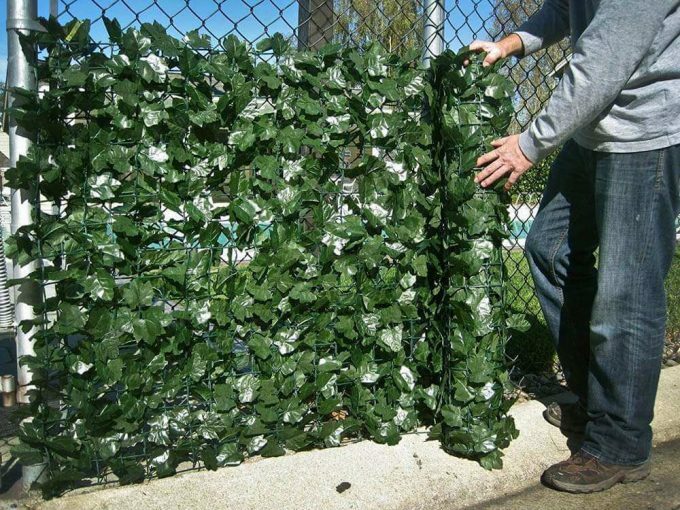 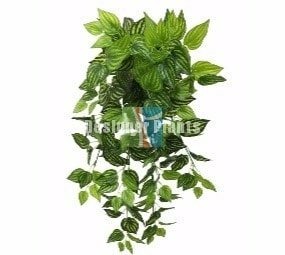 The fake ivy roll will arrive to you rolled up and you simply need to unroll it and you can cable tie to another roll should you wish to extend it to have greater coverage.